If there's one word related to health issues that makes me cringe, it's the word "toxin." This term gets thrown around all the time. I was given a gift card for a massage for my last birthday (which was wonderful, by the way), and afterwards, the masseuse told me that I needed to drink lots of water that day because the massage had "loosened up toxins" and I needed to drink a lot to "flush them from my system." Just a couple of weeks ago, I was buying some fresh turmeric root at a local organic grocery, and a lady smiled at me in a friendly sort of way, and said, "Oooh, turmeric! It's wonderful at detoxifying the body!" What gets me about the use of "toxin" and "detoxify" is that the people who use those terms so seldom have any idea about what particular toxins they're talking about. If I was just a wee bit more obnoxious than I am -- an eventuality no one should wish for -- I would have said to the masseuse and the lady in the grocery, "Can you name one specific chemical that massage and/or turmeric releases in my body that I need to be concerned about?" Chances are, of course, they would not have been able to; even in supposedly informative articles in health magazines, they're just lumped together as "toxins." The word has become a stand-in for unspecified "really bad stuff" that we need to fret about even though no one seems all that sure what it is. And then buy whatever silly detox remedy the writer of the article suggests. This all comes up because of an article I read in Science-Based Medicine called "Activated Charcoal: The Latest Detox Fad in an Obsessive Food Culture," by Scott Gavura. In it, we hear about people dosing themselves with activated charcoal as a "detox" or "cleanse," because evidently our liver and kidneys -- evolved over millions of years to deal with all sorts of unpleasant metabolic wastes -- are insufficient to protect us. No, you need "activated charcoal lemonade." I wish I was making this up, but no. 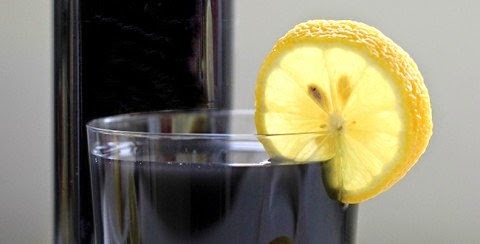 People actually are adding gritty, pitch-black charcoal to their lemonade, in order to make it "soak up toxins." ... Doolin pulled the box off the counter and ate all twelve chocolate truffles. As you undoubtedly know, chocolate is highly poisonous to dogs, so off Doolin went to the vet to get a (real) detoxification. One of the things they did was feed her activated charcoal. We found this out because on the way back home from the vet, Doolin puked up charcoal all over the back seat of my wife's brand-new Mini Cooper. Doolin survived the chocolate incident, although she almost didn't survive our reaction to (1) the thousand-dollar vet bill, (2) black doggie puke all over the new car upholstery, and worst of all, (3) not getting our chocolates. But she went on to live another six healthy years, thanks to modern veterinary science. So charcoal does have its uses. But you're not accomplishing anything by adding it to lemonade, except perhaps (as Gavura writes) having the charcoal absorb nutrients from your digestive tract, making whatever food you're eating less nutritious. Because charcoal, of course, isn't selective about what it absorbs -- it'll absorb damn near anything, including vitamins and other essential nutrients. I decided to drink this ultra-vegetable-filled (kale, spinach, celery, parsley, romaine, and cucumber) juice for breakfast. It tasted exactly like a super green juice—a little salty but otherwise, totally normal. I did end up eating some granola afterwards (juice diets have never been for me), but this one felt good and extremely healthy. Which, right there, sums up the whole approach. Screw medical research; if consuming some weird new supplement "feels good and extremely healthy," then it must be getting rid of all those bad old toxins, or something, even if it tastes like vaguely lemon-flavored fireplace scrapings. It's all about the buzzwords, the hype, and the feelings -- not about anything remotely related to hard evidence. But of course, since now we have renowned nutritionalists like Gwyneth Paltrow getting on board, the whole "charcoal juice cleanse" thing is going to take off amongst people with more money than sense. Makes me feel like I need to go eat some bacon and eggs, just to restore order to the universe.